“Beat Plastic Pollution “, the theme for World Environment Day 2018, is a call to action to combat one of the great environmental challenges of our time. The theme invites us to consider how we can make changes in our lives to reduce the burden of plastic pollution on our natural places, our wildlife – and our own health. The theme could not be more appropriate for The Bahamas, as Environment and Housing Minister Romauld Ferreira officially announced on April 24th his ministry’s initiative to ban single-use plastics and Styrofoam in the country by January 1, 2020 – a move he said would have a significant impact on waste at the New Providence Landfill. The Ministry will be conducting public consultations on the ban, and the target deadline for the required legislation is August of this year. The Ministry is also working with the Customs Department and Ministry of Finance to outline a correct protocol to reduce taxes on approve alternatives to plastic and Styrofoam as well as improve incentives for business operations who reduce plastic usage. Plastic is a big problem not just locally but globally. Plastic pollution is the defining environmental challenge of our time and in the next 10-15 years, global plastic production is projected to nearly double. Plastic facts are challenging. 50% of the consumer plastics are designed to be used only once, providing a momentary convenience before being discarded. Compounding the problem is the fact that nearly one-third of the plastics we use escape our collection systems. According to Bahamas Plastic Movement, if the rate of plastic pollution on beaches increases, it could cost up to $8.5m annually in tourism losses for the country. Once in the environment, plastics do not go away, they simply get smaller and smaller, last a century or more and increasingly find their way into the food chain. Recent studies show that 90% of bottled water contains microplastic particles. No one is sure what that means for human health, but trace amounts are showing up in our blood, stomachs, and lungs with increasing regularity. Humans add to the problem with microbeads from beauty products and other non- recoverable materials. 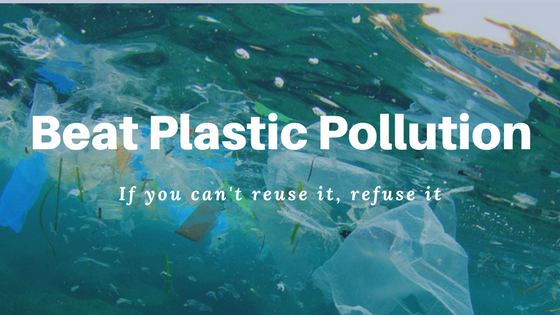 So what can we do as individuals to combat the plastic problem? As consumers, we have great power, and we can reconsider our purchasing habits in the supermarket aisles. 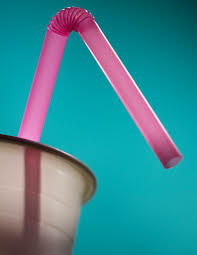 Just Say No to Straws: One of the easiest ways to keep plastic out of the landfill is to refuse plastic straws. Simply inform your waiter or waitress that you do not need one and be sure and specify this when ordering at a drive-thru. Can’t fathom giving up the convenience of straws? Purchase a reusable stainless steel or glass drinking straw. Use Reusable Produce Bags: About 1 million plastic bags are used every minute, and a single plastic bag can take 1,000 years to degrade. 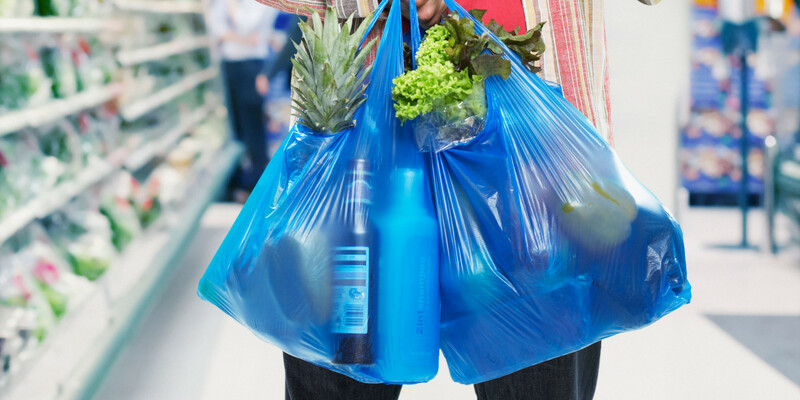 If you’re already bringing reusable bags to the grocery store, you’re on the right track, but if you’re still using plastic produce bags, it’s time to make a change. 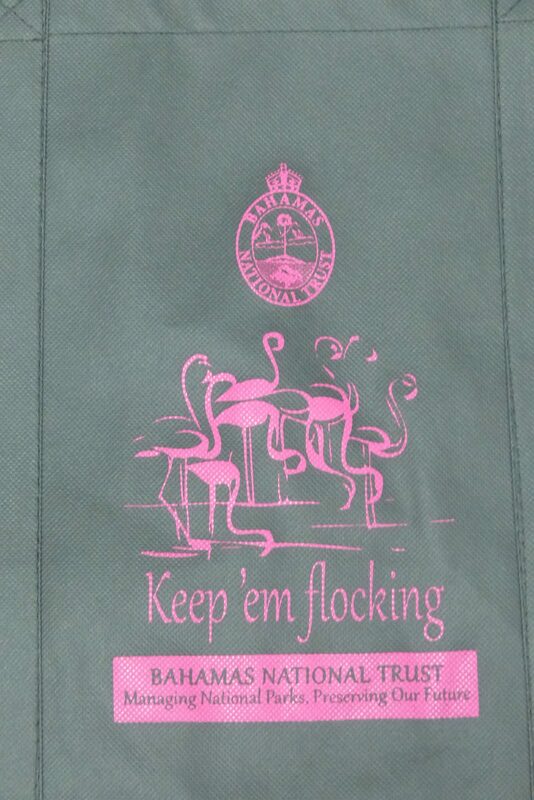 Purchase some reusable produce bags and help keep even more plastic out of the landfill. However, avoid those bags made from nylon or polyester because they’re also made from plastic. Opt for cotton ones instead. 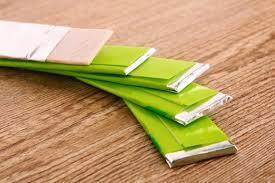 Give Up Gum: Gum was originally made from tree sap called chicle, a natural rubber, but when scientists created synthetic rubber, polyethylene, and polyvinyl acetate began to replace the natural rubber in most gum. Not only are you chewing on plastic, but you may also be chewing on toxic plastic — polyvinyl acetate is manufactured using vinyl acetate, a chemical shown to cause tumors in lab rats. While it is possible to recycle your gum, it may be best to skip it — and its plastic packaging — altogether. Buy Boxes Not Bottles: Buy laundry detergent and dish soap in boxes instead of plastic bottles. Cardboard can be more easily recycled and made into more products than plastic. Reuse Containers: You can buy a variety of prepared foods in glass jars instead of plastic ones, including spaghetti sauce, peanut butter, salsa, and applesauce, just to name a few. Instead of throwing these away or recycling them, reuse the jars to store food. If you have plastic containers leftover from yogurt, butter or other food, don’t throw them out. Simply wash them and use them to store food. Use Reusable Bottles and Cups: Bottled water produces 1.5 million tons of plastic waste per year, and these bottles require 47 million gallons of oil to produce, according to Food & Water Watch. 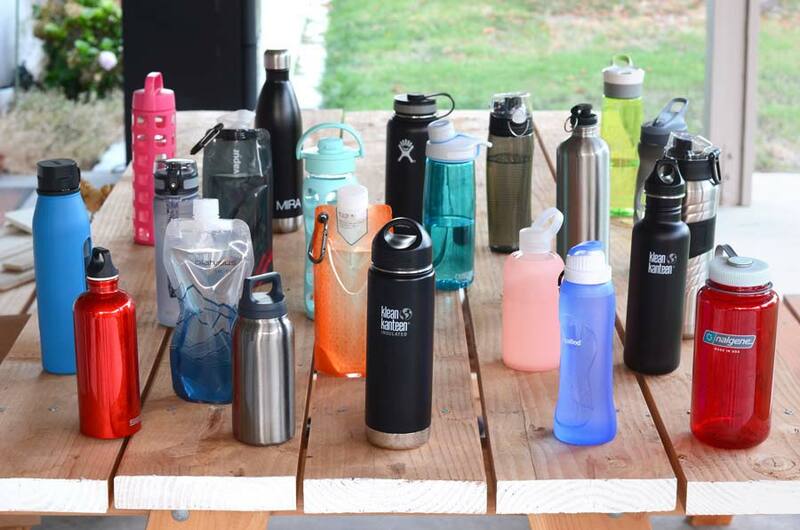 By simply refilling a reusable bottle, you’ll prevent some of these plastic bottles from ending up in landfills and oceans — but don’t stop there. Bring a reusable cup to coffee shops and ask the barista to fill it up, and keep a mug at your desk instead of using plastic, paper or Styrofoam cups. The average American office worker uses about 500 disposable cups a year so you’ll be preventing a lot of unnecessary waste. 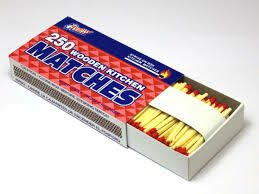 Use Matches: If you need to light a candle, build a campfire or start a fire for any other reason, opt for matches over disposable plastic lighters. These cheap plastic devices sit in landfills for years and have even been found in dead birds’ stomachs. If you can’t bear to part with your lighter, pick up a refillable metal one to help cut down on waste. 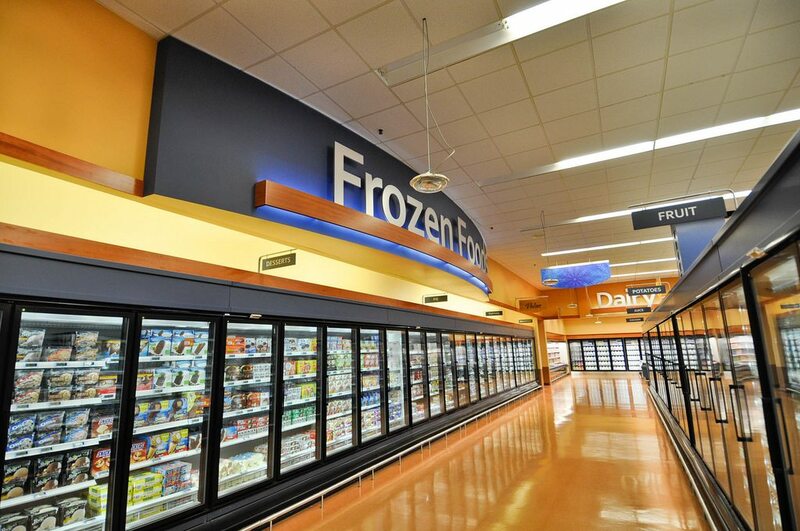 Skip the Frozen Food Section: Frozen foods offer both convenience and plenty of plastic packaging — even those eco-friendly packaged items made from cardboard are actually coated in a thin layer of plastic. While giving up frozen food can be difficult, there are benefits besides the obvious environmental ones: You’ll be eating fewer processed foods and avoiding the chemicals in their plastic packaging. 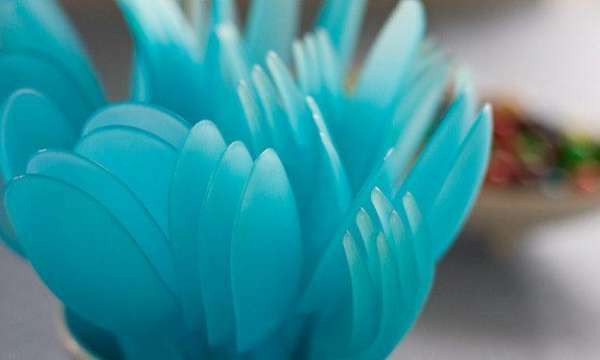 Don’t Use Plasticware: Say goodbye to disposable chopsticks, knives, spoons, forks and even sporks. If you often forget to pack silverware in your lunch, or if you know your favorite restaurant only has plasticware, start keeping a set of utensils. It’s sure to reduce your carbon forkprint. Use Cloth Diapers: According to the EPA, 7.6 billion pounds of disposable diapers are discarded in the U.S. each year. Plus, it takes about 80,000 pounds of plastic and more than 200,000 trees a year to manufacture disposable diapers for American babies alone. By simply switching to cloth diapers, you’ll not only reduce your baby’s carbon footprint, you’ll also save money. Pack A Lunch the Right Way: If your lunchbox is full of disposable plastic containers and sandwich bags, it’s time to make a change. 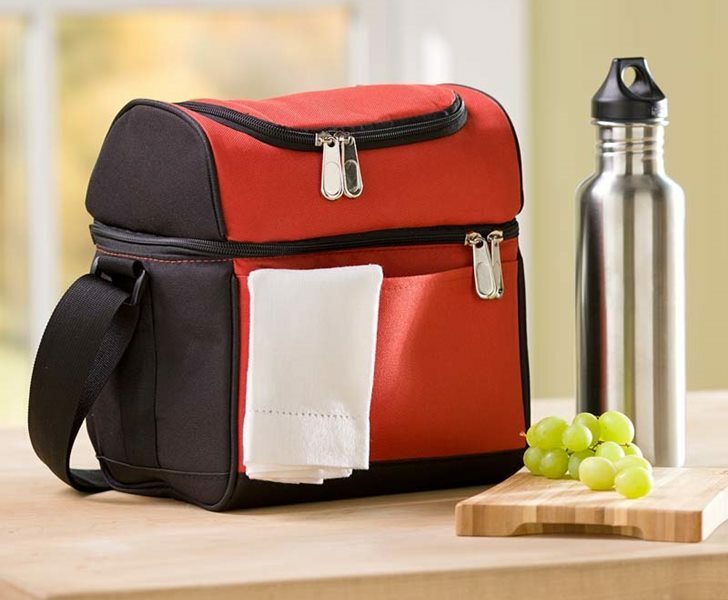 Instead of packing snacks and sandwiches in bags, put them in reusable containers you have at home, or try lunch accessories like reusable snack bags. You can also opt for fresh fruit instead of single-serving fruit cups. Being thoughtful and rethinking our purchases can contribute to less plastics in our landfill. Adopting one or two of the above suggestions can make a difference and support the Ministry of the Environments 2020 vision to ban plastics and Styrofoam. So on June 5 – World Environment Day – let’s commit to thinking about solutions both personally and nationally that can lead to sustainable behavior changes. Actions that do more than just clean up plastics from our shorelines. Individuals, the private sector, and policymakers all have critical roles to play. WE CAN MAKE A DIFFERENCE!